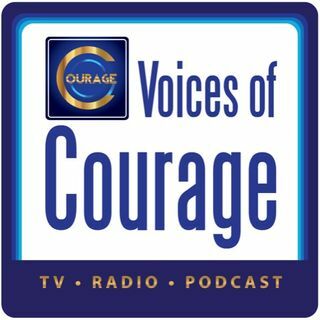 Voices of Courage is more than just another radio program! It will take you on a journey to find your courage, breakthrough your limits, master your destiny, and change your life! Transition Radio is a weekly show that brings listeners information, strategies, and tools to move through life transitions smoothly while learning valuable lessons along the way. Episodes feature expert guests in the fields of Science, Wealth, Health, Love, Romance, Lifestyle, Spirituality, Personal Growth and Current topics, which ... See More empowers listeners to make wise choices and evolve their lives. Transition Radio is more than just another radio show; it will take you on a journey to breakthrough your limits and master your destiny. Ken D Fosters’ Voices of Courage Show is more than just another radio program! It will take you on a journey to find your courage, breakthrough your limits, and master your destiny. No kidding! Ken has brought together the most Courageous People on our Planet who will inspire greatness with you and change your life for the better. In ... See More fact, if you are a regular listener, you will soon see the unseeable, know the unknowable, and do the impossible.